Ok ok I know I’m being fairly liberal with the term “preview” now, but what can I say. The games have started, but considering that we are basically 2.5% of the way into the season I’m going to go ahead and finish up the last two parts of my preview series even though the games have already started. Today’s post will include the misfits in the NBA. Teams that are so bizarre and unique with their playing style, roster construction, or both that trying to lump them into a category, any category, is like trying to put a round peg into a square hole. 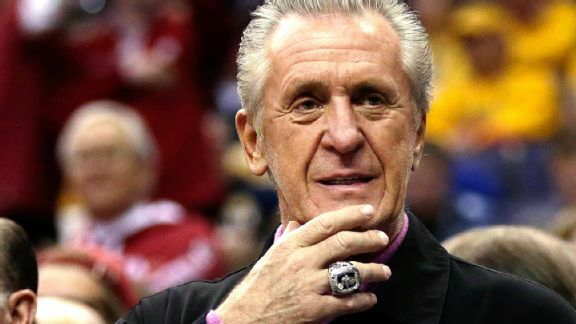 Pat Riley’s team is off to a solid 2-1 start, and this team should make the playoffs in the Eastern Conference with better injury luck. They are an odd team to figure out though. Miami was built to play around LeBron’s freakish basketball gifts, and the void left by him made an odd fit for some of their pieces. Dwyane Wade is still a nightmare to defend on given nights, and Chris Bosh is significantly better than the “casual fan” gives him credit for being. Bosh’s shooting ability and post offense make him a tough big to guard anywhere on the court. Justise Winslow is an intriguing rookie and there’s a really good chance he goes down as the steal of the draft. He is a great defender with good size and does some nice things offensively. Perimeter and free throw shooting are areas of improvement, but if he can be at least serviceable there then he could very well become a perennial all-star. The Pacers would have belonged in this category anyway, but this year in particular they are caught in the midst of a major transition. Losing Roy Hibbert and David West created an identity crisis for a team built upon defense and low post offense with one upper echelon wing scorer in Paul George. George obviously missed most of last season, but he’s back now and has looked pretty good in his return. George Hill is also off to a decent start, despite looking like he dressed as Chris Brown for Halloween and accidentally permanently dyed his hair. Indiana’s off to a rough start, and even though it’s early the eight seed might be a lot to ask for a team with no star power outside of George. “Grit ‘n Grind” is the perfect nickname for the NBA’s biggest bullies. Marc Gasol and Zach Randolph are a rough duo for any frontcourt, and Tony Allen is still one of the top perimeter defenders in the game. Mike Conley, although less heralded on the defensive end than his teammates, is a tough and gritty point guard on both ends of the floor, and Courtney Lee adds some needed perimeter shooting. 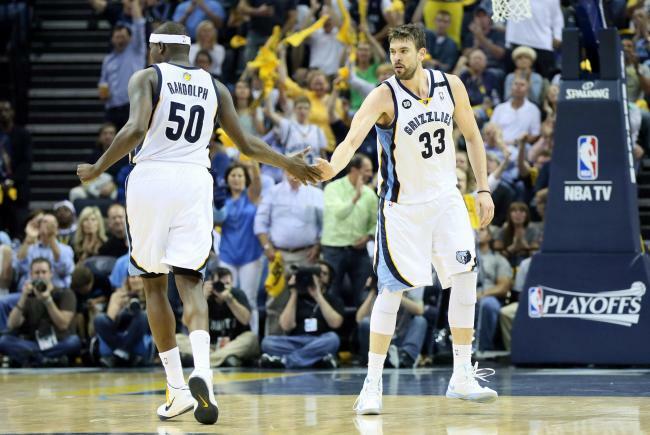 In an emerging era of pace-and-space basketball, the Grizzlies are bucking the new philosophy. Jeff Green and Lee are the only two “offense-first” members of the playing rotation, and a Conley, Allen, Matt Barnes, Z-Bo, and Gasol lineup is as airtight a defensive lineup as you’ll find in the league. The Hornets want to be like the Grizzlies, or at least the roster construction suggests that they do. Unfortunately, they aren’t nearly as good. Kemba Walker is a good scoring point guard, especially for an undersized player, but his size hurts him defensively and he settles for too many low efficiency mid-range jumpers. Al Jefferson is still a solid back-to-the-basket scorer, but he’s a little bit lumbering, especially on defense. “Linsanity” adds some character to this team, especially with that new mohawk he’s rocking, but he isn’t a good outside shooter on a team in sore need of them. Frank Kaminsky might be the best shooter on the team and he’s a power forward/center and a rookie… A Nic Batum resurgence would go a long way towards helping this team push for the eight-seed in the East, but the 0-3 start isn’t encouraging. Those three games did come against the Heat and the Hawks twice though, so all may not be lost. Eric Bledsoe is off to a phenomenal start and he and Brandon Knight look like they will be a handful for the other backcourts in the Western Conference to defend. 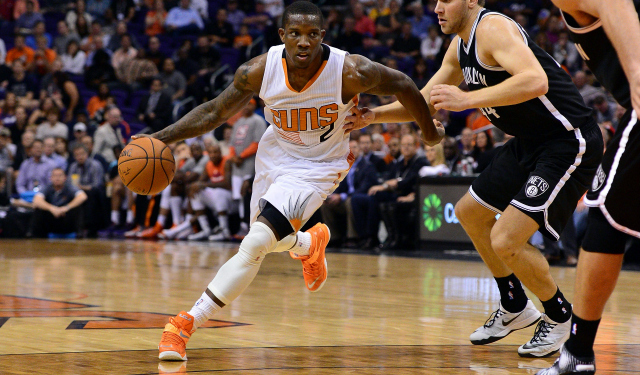 The Suns are 2-1, but both wins have come over a Portland team that isn’t expected to accomplish much this season. Tyson Chandler and Alex Len are both tough defenders, and even though they can’t share the court they ensure that solid rim protection should be on the floor for the majority of the time. Markieff Morris adds some offensive zip to the frontcourt.